Marilyn Holifield has aimed for high goals all her life. As a child, she practiced the piano in hopes of becoming a concert pianist. As a partner at Holland & Knight in Miami, she was named one of America’s top employment lawyers. As a black female, she has opened new doors and broken the “glass ceiling” for her colleagues. And as a community leader, her biggest dream still lies ahead. Meanwhile, Holifield is an active supporter of South Florida’s arts and educational institutions, serving on the boards of the Pérez Art Museum Miami (PAMM), University of Miami and other civic organizations. For the last few years, she has served as co-chair of PAMM’s Ambassadors for African American Art to expand a million-dollar fund established by the Knight Foundation and philanthropist Jorge Pérez to support acquisitions and programming. Today, Holifield is also working with a group to establish a new Miami Museum of Contemporary Art of the African Diaspora. A series of community meetings revealed “passionate support” for a premier contemporary African Diaspora art museum in Northwest Miami-Dade County, Holifield says. But the challenge is generating the financial support to launch the new museum. Swarthmore made a strong impression on Holifield, who has maintained strong ties to her alma mater long after earning her bachelor’s degree in economics in 1969. She served on the board of managers in 1994-97 and rejoined the board in 2012. “It was a joyous occasion for me to be present in October when Valerie Smith became Swarthmore’s first African-American president,” she says. Holifield’s older brother, Bishop, encouraged her to attend Harvard Law School, where he had received his juris doctor after earning an undergraduate degree at FAMU. Holifield earned her own law degree from Harvard in 1972. She served on the board of the university-wide Harvard Alumni Association for nearly a decade and in 2014 received the Association’s Alumni Award for her contributions. After passing the bar, Holifield spent five years as an assistant counsel at the NAACP Legal Defense and Educational Fund in New York City. “I was glad to help make some positive changes in our society,” says Holifield, who was responsible for litigating class action employment lawsuits in Florida, , Alabama, and Missouri and a major prison reform suit in Georgia. Holifield then served as the general counsel for the New York State Division for Youth for a year, before returning to Florida as a law clerk for a federal appellate judge in St. Petersburg. In 1981, Holifield joined Holland & Knight in Tampa. “I remember serving as lead counsel on one of my first cases,” she says. “I was successful in arguing a motion for summary judgment in trial court in a multi-defendant antitrust case , and handling the appellate brief and oral argument.” In 1984, Holifield moved from the Tampa to the Miami office at the invitation of firm founder Chesterfield Smith. In the past 30-plus years, Holifield has handled a wide range of high-profile cases in antitrust, securities, business disputes and media-related litigation. For instance, she represented the New York Daily News in a defamation case filed by the Pulitzer family against multiple defendants. “I was also able to help the media gain access to some important documents in the case of a young woman in North Florida who was accused of killing the children in her care,” Holifield says. 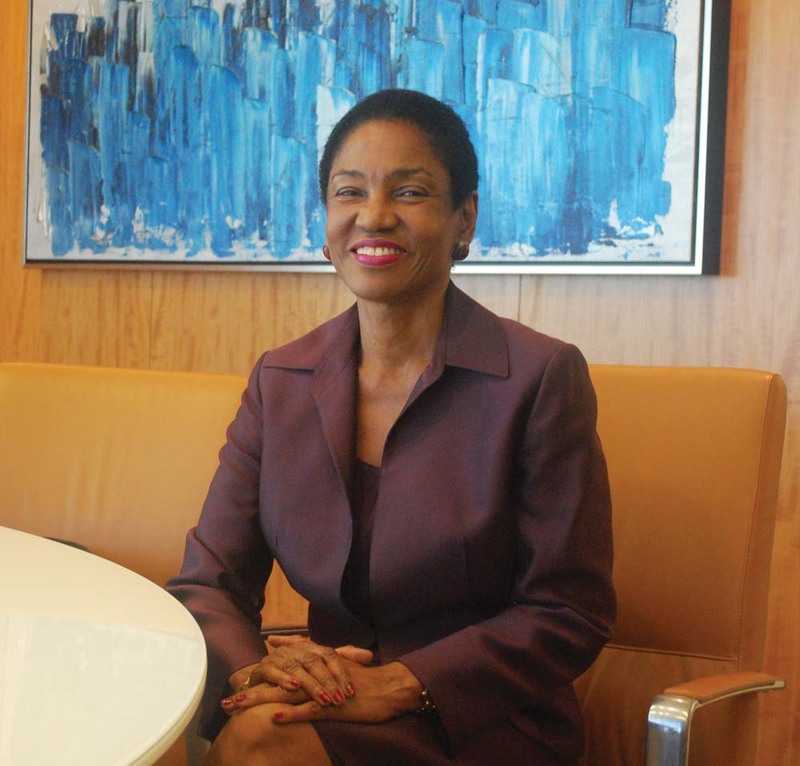 In 1986, she became first black female partner of a major Florida law firm, and in 2000 she received Holland & Knight’s highest honor, the Chesterfield Smith Award. Holifield served two terms as chairperson of the American Bar Association Conference of Minority Partners in Majority/Corporate Law Firms and as a member of the ABA Commission on Opportunities for Minorities in the Profession “Throughout my career, I have found great joy in participating in the development of younger lawyers,” she says. During the late 1990s, Holifield’s practice shifted to concentrate on employment law. Today, much of her practice involves enforcing or defending non-compete covenants in employment agreements and other employment, business and civil litigation matters.